Ganglion cysts are common tumors found in the wrist, hand and fingers. There are many theories for the development of ganglion cysts. 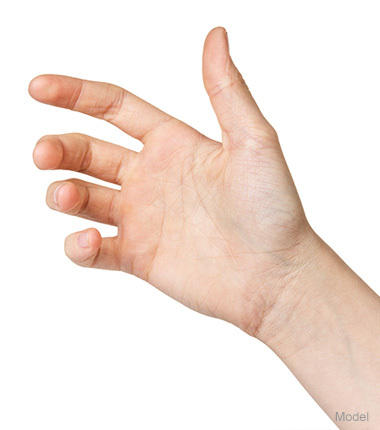 Ganglion cysts may interfere with hand function or cause complaints of pain. Depending on the extent and severity of this condition, complaints may not improve without surgery to remove the ganglion cyst. Alternative forms of treatment consist of aspiration of digital ganglii, surgically treating the condition, or injections of cortisone-type drugs into the cyst. The removal of the jelly-like fluid from the larger cysts with a needle does not permanently remove the ganglion cyst and may fail therefore. Risks and potential complications are associated with alternative surgical forms of treatment. Follow up is usually within 7-10 days post op. You should call the office at 204 231 1542 for your appointment time. If Dr Dolynchuk deems Physiotherapy necessary they will contact you after surgery on or around day 5. Unsatisfactory Result- There is a possibility of experiencing an unsatisfactory result. Some patients may not have realistic expectations. On occasion, several surgeries and/or treatments may be required to achieve the desired result that the patient wants. Surgery is not an exact science. Results are affected by a variety of factors such as skin quality, body type and proportions, age, etc. Sometimes you may need secondary surgery. Although good results are expected and we try to achieve them we do not warranty them.